Ms. Vixen is a lifestyle brand that approaches Black wellness spaces differently. It's all about communal healing in safe spaces, digitally and IRL! 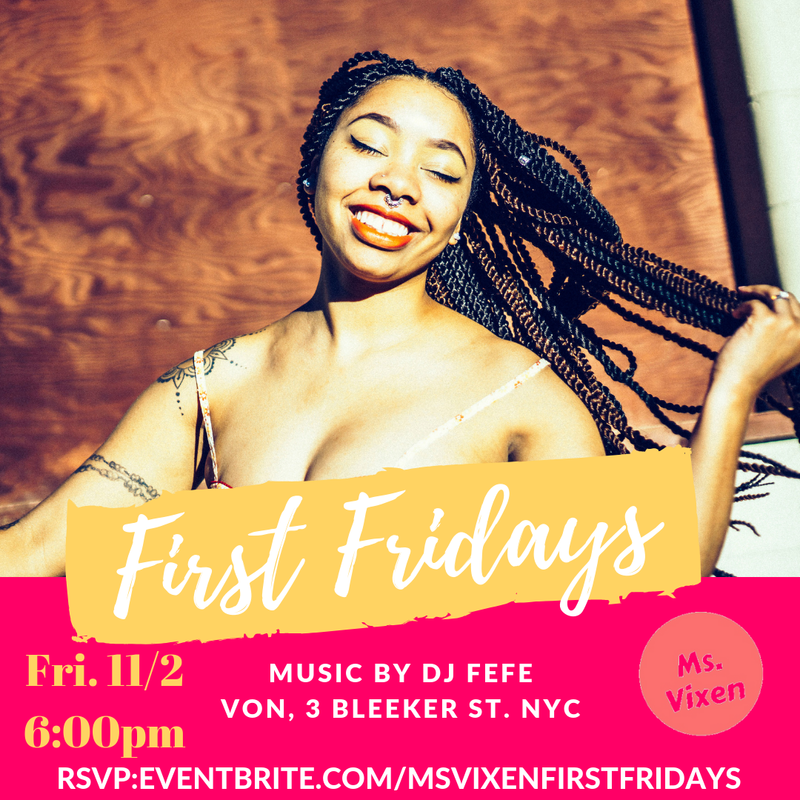 First Fridays are our monthly party series set to start your month on a high note. There's no place better to release stress and recalibrate your glo up then on the dance floor. This party is a safe space for POC's, Queer folks, and folks across the gender spectrum. RSVP only, no payment at the door.